Everybody should know by now that Poland is a breeding ground for excellent death metal, as bands like Vader, Dies Irae and Decapitated have proved in the past. Naturally this big Eastern European country has many more such bands to show up with, as for instance Lost Soul who began in 1991, and after several demos, have so far released four official CDs between the year 2000 and now. Their newest album Immerse In Infinity offers technically impressive death metal that will leave you speechless. Maybe the recent developments left the band refreshed. First of all they switched from Earache Records to Witching Hour Productions, and there have been also been quite a few line-up changes, with only the vocalist and one guitarist remaining since their previous record Chaostream from 2005. The opener Revival amazes instantly with its enormous pace that should be next to impossible to keep up with such complex musicianship. To be able to play so fast and precise and not losing the overview should be considered miraculous. Especially the triggered drumming helps to give the songs their drive. Compared to the complex instrumentation, the vocals are rather classic, but the death metal grunts still fit perfectly. On Personal Universe, Lost Soul sound even more progressive, allowing comparisons to Meshuggah. Even the less fast …If The Dead Can Speak doesn’t shed one ounce of the inherent brutality. The songs are all quite long, with running times between six and nine minutes, and convince without an exception with lots of skilful pace and rhythm changes. Lost Soul manage easily to insert more ideas into one song than other bands have on an entire longplayer. 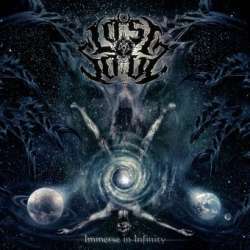 Metal fans that are into brutal and technical death metal have no choice but to check out Lost Soul. The structures are incredibly progressive and full of unexpected surprises. Those tired of the same, old patterns in death metal will find much to appreciate on Immerse In Infinity.